Of the 1112 participants for our survey “Discovery, Research, and Profit” www.CFTechnology.org only two claimed to be physicians! One from Florida and one from California. 53% are patients, and 44% are caregivers. Who has the authority? Since 1996, when our forums at CysticFibrosis.com began, you may have wondered: “Where are the doctors?” They were in the past the elite practitioners, the ones with all the knowledge, the gods we had to all bow to and hope they would grace us with some bits of information (in the past), but now due to the availability of the web and all the information and sites like cysticfibrosis.com with millions of saved and searchable messages for CF…we are well into “crowd sourcing” and a posse of like DNA’d patients and caregivers become a reliable benchmark. You all bring the information you gather from your individual clinics and all the specialists and most importantly your own experiences with your treatments and lifestyle that goes with having CF. 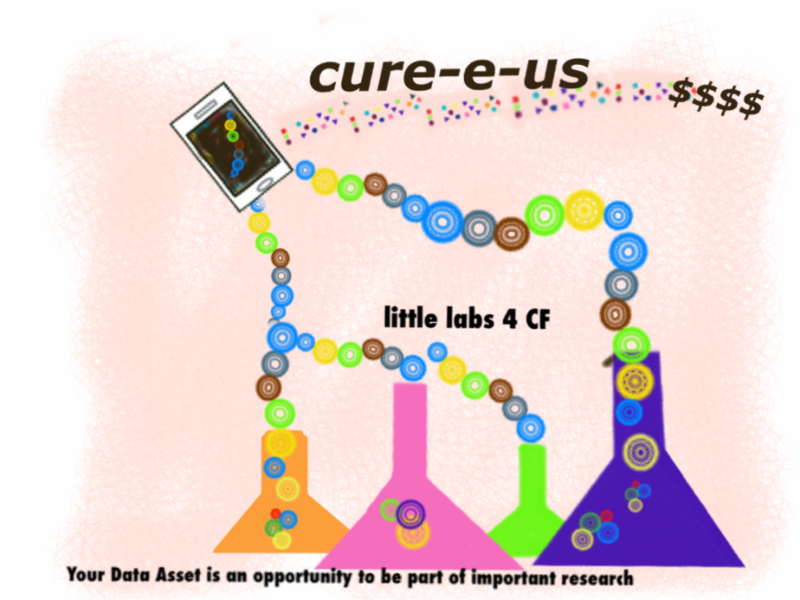 You are the “LittleLabs4CF” and each of you is different and important. We are a fair and level playing field of deeply engaged participants. 88% are from the US, 2% are from Canada, 2% from the UK, 1% from Ireland and 1% from South Africa. Our latest participant is from Germany. From the US we have California: 94; Florida:65; Pennsylvania: 53; New York: 52; Texas:48; Michigan: 35; Georgia: 32; New Jersey 31; Washington: 30; Colorado:29; Massachusetts: 24; Virginia: 22; Tennessee: 22; Kentucky: 20. We are missing Wyoming and Washington DC. As we move along, certain that many of you want to hear more, and are interested in the aspect of taking charge of your data and bringing it to the marketplace: 89.6% agree! We have begun interviewing APP companies, keeping in mind that Privacy is of the utmost importance and that PATIENTS own the data. We think a lot about the role design will play in choosing a company for our APP. It becomes a key differentiator. If something is engaging, entertaining, and educational will more people buy in? Our App will be designed by members of our CF community who are professionals in design and editorial content. We know through our forums and now a busy survey that we need to claim our stance as ambassadors of all that face outward: makers, doers, propagators, seeding the future for this community and as a model for other rare disease communities. We discovered through the survey that 30% of you “Don’t Keep these Records” and 50% of you use “Paper or HardCopy” to keep track of all your treatments and lifestyle. Realizing that an App is to Data as Bread is to Butter…we are ready to identify and improve the conditions that frame our experience. Creating an APP that brings order and efficiency , comfort and delight, information, clarification to all the eludes us. We are experienced with our forums in knowing the important topics for you as patients. We know that time is the biggest factor in adherence and keeping track of your treatments, so moving along with wearables and devices that automatically keep these records is very important. Through an APP, we can bring what is inside us, our inner life to the surface of our phone. We can make the unknown knowable. We can picture things within ourselves. To create an APP, we see a process and a platform. We are seeking to learn who wants it, who needs it and if we produce it, who will consume it? What problems are we addressing? Will it lead to a better understanding of genetics? Will it be a catalyst for change? Will it be a model for other communities? Will it lead closer to a cure? Written by: Imogene on March 22, 2018.